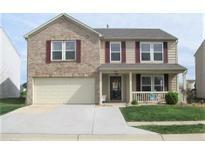 Below you can view all the homes for sale in the Harmony subdivision located in Indianapolis Indiana. Listings in Harmony are updated daily from data we receive from the Indianapolis multiple listing service. To learn more about any of these homes or to receive custom notifications when a new property is listed for sale in Harmony, give us a call at 317-900-4544. 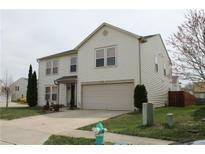 Walking distance from Acton Elementary & just a short drive from I-74. MLS#21632659. DAVID BRENTON'S TEAM. Wood burning fireplace. Playset in rear yard stays MLS#21631962. Indiana Property Group, LLC. Franklin Township Schools 4-star rate school system! MLS#21630734. Hoosier, REALTORS®. The home backs up to green space with a walking trail that leads to the neighborhood park. MLS#21628624. RE/MAX Results. Multiple offers, please submit highest & best by 3/22 at 1pm. MLS#21628178. Keller Williams Indy Metro S.
Your new kitchen has all the space you need with lots of cabinets, counter space and walk-in pantry. MLS#21628300. Indianapolis Homes Realty, LLC.